In November 1916 Clarence Darrow argued before the Supreme Court of the United States on behalf of Charles H. Ramsay. The case began when an individual named Stewart sued Ramsay in a federal court in Illinois. Ramsay was from Colorado but he came to Illinois to testify as a witness in another case and Stewart served process on Ramsay a few minutes after Ramsay testified. Darrow successfully argued that process could not be served in this manner because a witness coming from another state or jurisdiction is exempt from the service of civil process while in attendance upon court, and during a reasonable time in coming and going (Stewart v. Ramsay, 242 U.S. 128 (1916)). The opinion was written by Justice Mahlon Pitney (1858 - 1924). 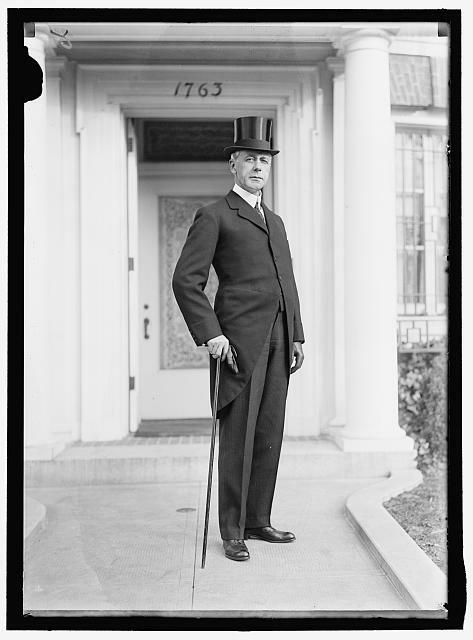 Pitney served as Associate Justice from 1912 to 1922. According to some sources Pitney was the great-grandfather of the actor Christopher Reeve.